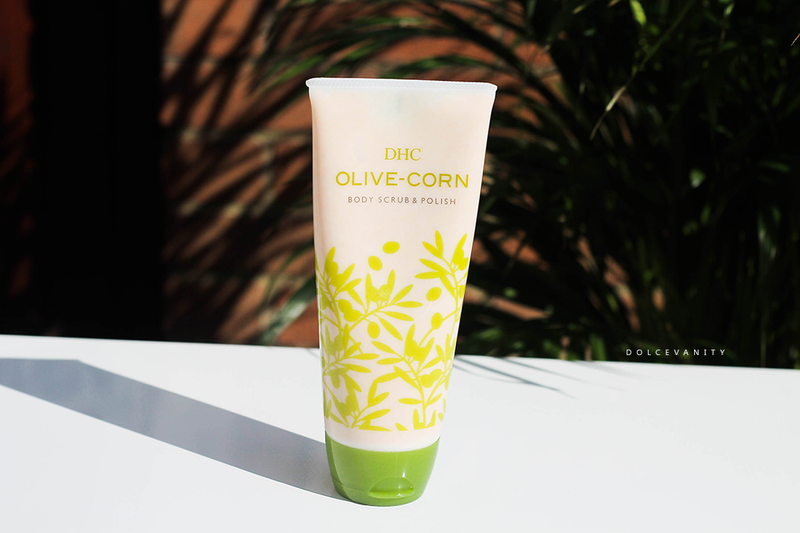 DHC Olive-Corn Body Scrub & Polish Review. The glo’up quest. I think besides, having a mental glow up, the outer appearance can make us feel good too. I know if my skin feels & looks, healthy and smooth – I can be a happy woman. As we’re approaching Spring, so many are looking forward to being able to shed few layers of clothes – at some point, reminding myself this is the UK – but with less layers on, comes more skin exposed. Not a problem but it’s all about having that smooth skin, that can make you feel happy as ‘ish. And that is straight down to the exfoliation and some key exfoliating acids but we will start with the manual scrub. I think there’s nothing wrong with having a daily exfoliation – if your skin can handle it, my body can handle it, I do my face every other day I don’t like to over exfoliate my facial skin. I’ve used all kinds of scrubs, coffee, homemade, salt, sugar scrubs - endless list. Currently I’ve been using this DHC Olive-Corn Body Scrub & Polish, it’s more than just that because it cleanses, removes dead skin cells while moisturising – oh hello – put that down to the olive oil & vitamin E. As it cleanses it also lathers up, I’ve never used one that does that by using structure surfactant liquid (SSL) technology it helps to do this while the small and large granules of corn cob powder work to refine the skin, exfoliate without irritation all while giving off a natural relaxing lavender aroma and vibrantly glowing skin. I can use this daily, especially over my back, torso, arms, legs - even the soles of my feet. Everywhere gets a good scrubbing where skin can shed. Gotta admit it's a well served product for my skin. I use it with my salux cloth and when that's all rinsed off, my skin feels smooth but not dry but I still go ahead and use my ritual of bodycare products afterwards cos it doesn't stop in the shower. For £!5.50 it's not badly priced at 200g because you're getting a 3 in 1 product. Maybe DHC have another cult product on their hands? My husband just finished his coffee scrub and this sounds like a good replacement. Thanks for sharing! I love a good exfoliater - the Mio Skincare one is my current fav. This sounds like a great scrub and so reasonably priced. I will look out for this next time I'm buying. This sounds great, and the packaging is beautiful. It's great that it's microbead free too!